Ever since Javier Hernandez made his move to Old Trafford and joined Manchester United, he has faced consistent problems season after season trying to make an impact with the first team and get guaranteed playing time. The Mexican has had to settle with a place on the sidelines of Manchester United in every single season. The Mexican attacker has displayed his concerns of only getting a few minutes of playing time on some certain matches; he spoke after a match of Mexico in the 2014 World Cup and revealed some details of his current condition. “This whole year has been very tough. Players need confidence more than anything else, and I’ve been very short of it. Very few people have shown faith in me over this past year. I’d like to dedicate this to my grandfather, who’s about to turn 85 but has still made the effort to be here. It’s for all those who’ve been with me in the good times and the bad, like my wife and my family. They know that I’m always happy to work hardest during the toughest times.” Chicharito Hernandez said. Louis van Gaal is the new coach of Manchester United and the Dutch manager will be a huge factor that can determine whether or not Javier Hernandez remains as a player of Manchester United for another season or if he would like to cash in on the Mexican forward. If Hernandez does leave Old Trafford, he has options of moving to Arsenal as Arsene Wenger is an admirer of the Mexican player or instead he can be transferred to Tottenham at White Hart Lane as it’s another club which has also shown interest in signing him and in either of those clubs, his chances of getting more playing time are significantly higher than in Old Trafford where Wayne Rooney and Robin van Persie are the undisputed stars of the team. Former Blackburn Rovers striker Nuno Gomes has said that he expects his compatriot Nani to leave Manchester United at the end of the season. The Portuguese winger arrived at Old Trafford with a big reputation and he was signed for around £ 20 million. He was expected to be the next Cristiano Ronaldo due to the similar playing styles, but he has failed to progress into a great player. In more than 200 appearances for Manchester United, he has managed to score only 40 goals. He has been at United since 2007, but it appears that his time comes to an end even though he signed a new contract with the club only recently. Nani had only just over a year left on his contract, which led to speculation that he may leave in the summer. Otherwise, United would have had to see their big money signing leave on a free transfer. Instead, the club has recently managed to tie up the player on a new long-term deal, which is expected to keep him at Old Trafford for the next few years. Even though he has signed this new contract, Gomes is of the opinion that Nani will be sold in the summer. “Nani approached by Juventus and Inter Milan? He is undergoing an unhappy period, cannot express himself in the best way. Leaving Manchester for Italy would be a good solution for him,” said Gomes, who is widely known for his spell with Italian club Fiorentina. Gomes has revealed that Nani has been going through a troubled time at Old Trafford and it is best if he decides to leave United for the likes of Juventus and Inter Milan, who have shown interest in him. Nani recently scored a goal for United after a long time against Bayer Leverkusen. Javier Hernandez still remains being a player that has more time on the sidelines then on the pitch in Manchester United. The Mexican is overshadowed by the likes of Adnan Januzaj, Van Persie, Rooney and Welbeck all of those are players that Moyes prefers having upfront instead of Javier Hernandez. So far in this season Hernandez has made 8 appearances in this season for United and most of them being made from the bench as a substitute player. Due to the lack of activeness for his club, a lot of clubs are taking an interest in Javier Hernandez as he just might be a viable target in this winter transfer window. The 25 years old Mexican player has already expressed his frustration on having such a limited time to impress the coach and the club and according to the Sunday Telegraph Tottenham will make a move for Hernandez if they are able to sell Adebayor in January. 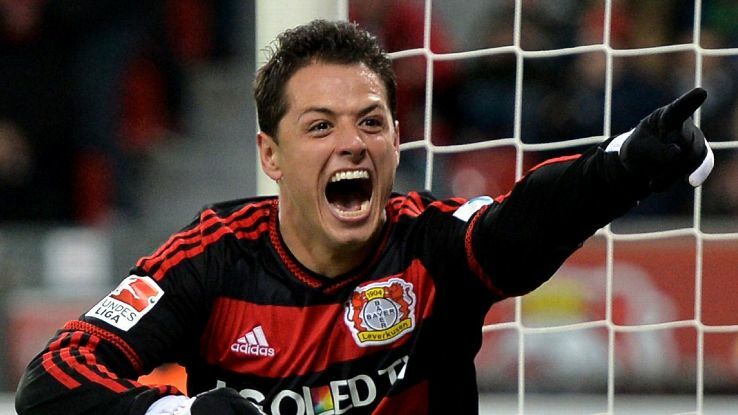 Arsenal are also interested in signing Hernandez but it is rather hard to believe that Manchester United will offload him to one of their biggest rivals of this season of the Premier League and this leaves Tottenham with the chance to make a swoop for the former Gualadalajara player. 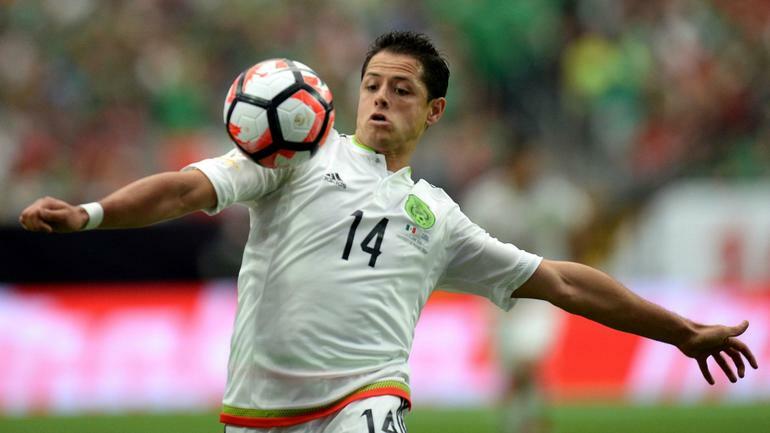 With the 2014 World Cup nearing closer and closer, if Hernandez is chosen to be in the squad for his national team he would like to be at his absolute best in order to give Mexico chances on winning their group stages and get them into the next rounds of the World Cup but this will not happen if he stays in a club that he can barely have any playing time and is just mostly nothing more than a bench-warmer. David Moyes has a vast array of attacking options in his disposal including the likes of: Wayne Rooney, Van Persie, Danny Welbeck and Adnan Januzaj which is tough competition for Javier Hernandez. This competition in the front line of the English club has forced the Mexican player on being more on the sidelines than in the actual playing grounds. Playing a few minutes in some matches and added as substitute more than anything else which has caused rumors starting to spread about how longer he will stay in the club. In recent interviews, the Mexican forward has showed his emotions and feelings towards having more playing time. “I am desperate to play for 90 minutes but that is a decision for the gaffer. “Every player in the world wants to start but I will do my best whether I play for one or 90 minutes.” Hernandez said. This has attracted the attention of Tottenham who are interested in snapping him up. Tottenham have already secured the services of Roberto Soldado with £26million being splashed out for the Spanish striker but Andre Villas-Boas already showed interest in getting the Manchester United player. Athletic Madrid is another interested club for the player that seems to be nothing more than a substitute for Moyes. “I strive for that [to start more games],” said the 25-year-old. “I am working towards that – earning a spot as a starter. I know that my performance on the pitch will allow me to achieve that goal someday either here [in Manchester] or elsewhere for any other club. The winter transfer window will be the decisive moment for the future regarding Javier Hernandez but if anything is for certain it’s the fact that he does not want to remain being a substitute player for United. The manager of Manchester United, David Moyes, has said that it’s important to manage the workload of star striker Robin van Persie. Persie was the stand out performer for United in their first game of the season yesterday. That was the Community Shield match in which United was taking on Wigan Athletic. Persie found the net once in each half and guided his team to a comfortable 2-0 victory. This is the 5th time in the last 7 years that United has won the Community Shield. Persie scored the first goal in the 6th minute by heading Evra’s cross home from a distance of 16 yards. The Dutchman doubled the lead of United in the 59th minute with a flat shot from just outside the penalty area. That goal was set up by Danny Welbeck. Moyes also hailed the young winger Wilfried Zaha who made his debut for United by playing in that Community Shield game. Zaha was on the ground for almost an hour and he impressed everyone with his agility. Zaha is only 20 years of age at the moment. He had signed for Red Devils at the start of this year. Manchester United manager Sir Alex Ferguson has confirmed that Mexican striker Javier Hernandez remains part of the plans at Old Trafford next season. The 24-year-old has grown frustrated about the life on the substitutes bench, as he has rarely made starts this season. This is despite scoring seven goals since his £ 7 million move a few years ago. He has consistently found himself overlooked in favour of Robin van Persie, Wayne Rooney, and Danny Welbeck. This season has been especially difficult for him after the arrival of van Persie. As a result, there have been reports linking that he would be involved in a swap deal with Atletico Madrid that will see Radamel Falcao move in the opposite direction. The future of defender Rio Ferdinand has also been under speculation, as his contract runs out in a few months time. Ferguson, though, confirmed that both players remain integral to the future of the club. Hernandez has once again been brilliant in front of goal this season. He has managed to get 16 goals in all competitions despite being a substitute in most matches. Ferguson has praised the enthusiasm of the player, but it will not be long before he demands more playing action in order to protect his international career. “There is no reason to think this is not the place for him [Hernandez. We hope he feels as though he has made a contribution. He has scored 16 goals. When he came on the other night [at West Ham] his movement was terrific. He created a lot of openings for us. I thought we were pretty unlucky not to win it. Their goalkeeper made a couple of saves, one shot was cleared off the line and he was very unlucky with a header,” said Ferguson in a recent interview.